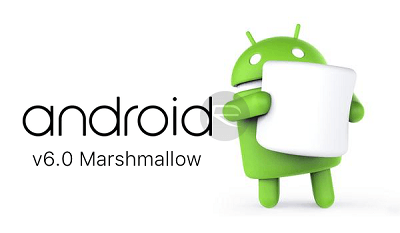 Google has revealed that its newest update will be Android 6.0, officially named as Android Marshmallow. Google has said that the preview version of Android 6.0 can be accessed in some devices. The current version of Android is 5.1.1. Users of Nexus 5, Nexus 6, Nexus and Nexus Player can download the preview version of the latest Android. “The Android emulator system images and developer preview system images have been updated for supported Nexus devices (Nexus 5, Nexus 6, Nexus 9 & Nexus Player) to help with your testing. You can download the device system images from the developer preview site. Also, similar to the previous developer update, supported Nexus devices will receive an Over-the-Air (OTA) update over the next couple days. Weather you get it or not, but you need to know the Top features that Android 6.0 will bring in your smartphone. We all know that Android is infamous because of its poor battery life. Hence google has decided to give some boost to its power. Android 6.0 will come with a technology to keep your smartphone in a sleep mode, that will be much deeper and effective than earlier versions. In a recent Google’s tests, Android 6.0’s Doze resulted in two times the battery life compared to Android 5.0. Though Doze will allow important notifications and alarms to pass, it will not let apps to refresh in the background. Hence you won’t be able to get key updates while your DOZE mode is ON. With Google Now, you can make a quick search of your favourite term. Just select any position of text or image on the screen, and Google Now will display all the relevant Information. This feature will surely increase the time of any user who likes to search now and then. Android 6.0 will help you to decide whether to grant a permission to an app or not. You can revoke or allow permissions to an app while using it realtime. For example, if you don’t use the camera feature of any app, then you can revoke the permission requesting to access camera. With Android 6.0, app makers will be able to integrate Chrome tabs into their apps. Hence you will not be redirected to your default browser while clicking on a link in your app. Hence the user will stay within the app. This will also reduce the trouble of signing in to different accounts(like Facebook), since your passwords will be stored. This feature was integrated by many manufacturers like Samsung and Sony. 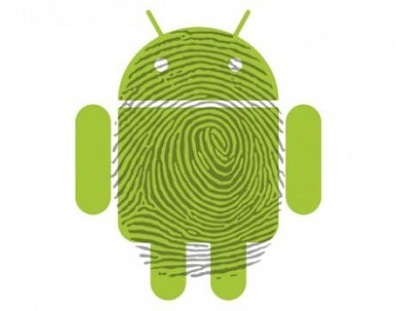 But Fingerprint support will officially debut in Android 6.0. 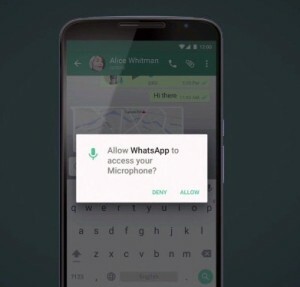 This feature can also be added to other apps. Hence this will add a new layer to security. Android 6.0 Marshmallow will feature Android Pay, an NFC-based payment system. This feature is developed to rival the Apple Pay and Samsung Pay. This feature allows you to save your credit cards and loyalty cards in one place. This place will be accessed by Fingerprint or by a Virtual card number. 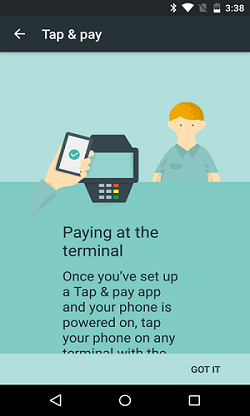 Hence Whenever you want to make a transaction, just swipe in your figure. Android Pay will still be available for devices running on Android 4.4 and above. We hope that this new Android 6.0 update will be sooner received by your smartphone. Are you exited about this new Android 6.0 OS, Let us know your views by commenting below.